Different regions that lie in the city of Hyderabad have rocky terrains. The weather throughout the year remains warm with the winters being pleasant. The best time for planning a visit to this city is from October to March. 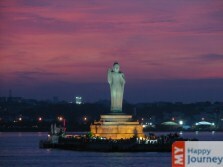 Hyderabad is also known as the pearl city of India. It is famous for its precious stones along with the famous Biriyani. The best time to visit this city for experiencing its beauty is in the winter season, which is from the month of October to February. The famous Deccan festival is held during these months hence making it a favorable time to plan a trip. Different types of cultural events are also organized during this time. Temperature being favorable, it is the best month for outdoor activities and sightseeing. In the summer season the temperature soars to 40Â°C, thereby making it unfavorable for different touristsâ€™ activities. Strong sun rays make it difficult to travel in this season. Monsoons can cause increase in the humidity level thereby hampering touristsâ€™ activities. November to February- The temperature during the winter season ranges from 32°C to 14°C. The weather in winters remains pleasant therefore this is the best time for enjoying sightseeing in Hyderabad. March to May- Travelling during this time is not preferred because the temperature may rise up to 45°C. The weather in the summer season is very hot which can make travelling uncomfortable. June to September- Medium to heavy rains are observed in these months. Rains may be accompanied with strong winds, making it difficult to travel. Level of humidity is increased in the atmosphere. Pleasant In January, the nights are cooler as compared to the day time. This is the best month to plan a visit to the city. Different indoor and outdoor activities can be enjoyed during this month as the sky is clear and the weather is pleasant. The temperature is comfortable for enjoying different activities. Pleasant This month marks the end of winter season and the temperature begins to rise slowly. Nights are still cool with the days being warm. This is the best time to explore the city and its attractions. Tourists can enjoy sightseeing in this month as the temperature is pleasant. Loose cotton clothes are recommended for this month. Moderately Hot With the beginning of this month, summer season also starts. Temperature rises but is still in the moderately hot zone. The level of humidity is quite low in the atmosphere, with a clear sky. Tourists can enjoy different types of activities with their friends and family members. Fairs are organized by local people to attract the attention of tourists. Very Hot During this time, the sun is at its peak and weather is very hot. Tourists should avoid visiting the city in this season, as they can have heat strokes or exhaustion. If a person plans to move around in this weather then use of sunscreen and umbrella is highly recommended. Small children should not be allowed to stay in the sun for long. Very Hot This month is known as the hottest month of the year. The temperature is very high and can go beyond the comfortable zone. People do not prefer visiting the city in this month but if you are planning a trip to Hyderabad in this month then make sure to carry sun protective gear as they are very important. Very Hot The weather is still hot but early monsoon showers bring in some relief. Because of the rains, humidity level increases considerably. Sky remains covered with the clouds for most part of the day. Carrying rain wear along is a good idea, if you are planning your trip in the month of June. Rainy This month marks the beginning of the monsoon season. Heavy showers are experienced in this month. Rain lovers can enjoy themselves by visiting the city in the month of July. The weather remains pleasant, with overcastted sky. However rain can sometime play spoilsport and outdoor activities cannot be enjoyed in this season. Rainy The level of humidity is still high in the atmosphere. Regular rainfalls are a common phenomenon that can be seen during the month of August. If small children or aged people are travelling, make sure that they remain indoors and do not come in contact of the rains, because if they fall ill, the trip would be spoiled. Rainy This month receives the heaviest rainfall. There is no improvement in the level of the humidity in the atmosphere. Travelers who do not like rains should avoid visiting Hyderabad in this month as the rains can ruin their visit. Trips should be planned only after checking the weather forecast of the days that you are planning to travel. Pleasant Monsoons are over and the weather becomes pleasant. Tourists can go out, move around and enjoy different activities and delicacies that the city has to offer. Days are cloudy and the temperature has fallen to a comfortable level. This is the best month for planning your trip to this wonderful city. Pleasant The weather is quiet comfortable during this month. The days have comfortable temperature followed by cool nights. This is the best month for travelling across the city. Newly married couples can plan their visit during this month as various honeymoon discounts are offered by different hotel owners and resort owners. Pleasant Carrying of light woolen clothes is recommended as a dip is observed in the temperature of this month. 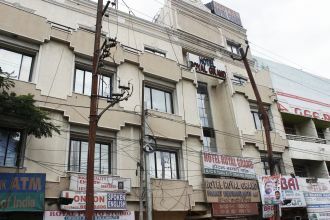 The ambience is very pleasant and this is the month of the year when a trip to Hyderabad can be planned. This month offer different festive celebrations and cultural events for the tourists.